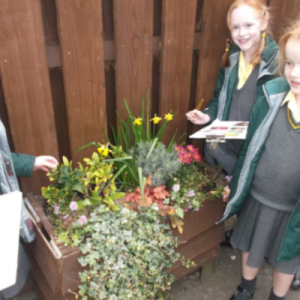 Class 1 Allen went on a walk around the school grounds to look for the signs of spring. 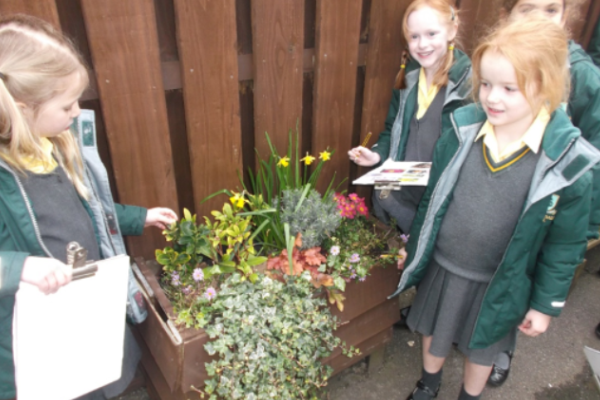 The children found daffodils in flower on the terrace and a bird’s nest in the wisteria with birds flying around. There was blossom in the trees near to the outside classroom and snowdrops and crocus bulbs near to the cottage. 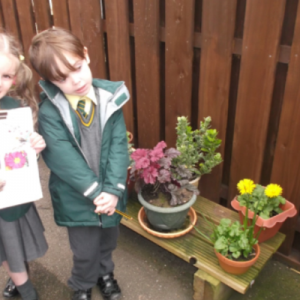 The children were very excited about the walk and wanted to know the names of many of the other plants. 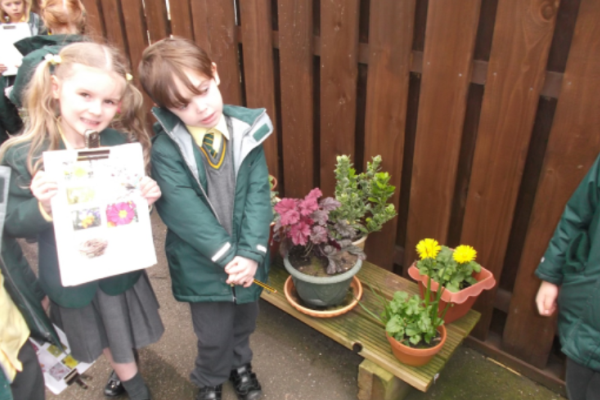 After the walk the children completed a plan of the grounds showing where the signs of spring were found.